Accidentally deleted photos on your Samsung Galaxy C10? 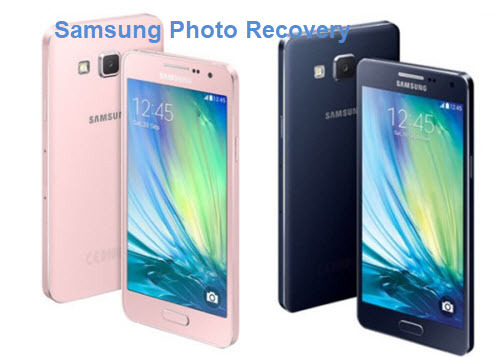 This article will teach you how to recover deleted photos, videos and audios from Samsung Galaxy C10 internal memory without Samsung Kies backup, you can also undeleted photos from Samsung Galaxy C10’s memory card with the help of Samsung Photo Recovery for Windows or Mac. Many Samsung Galaxy C10 users would like to take a lot of photos in their daily life and store them on the phone. Have you ever accidentally deleted your pictures from Samsung Galaxy C10, or formatted the media storage? Don’t panic! Android Data Recovery can solve your problem in a simple and secure way. In fact, the deleted photo files are not deleted permanently from the Samsung Galaxy C10 immediately when they are deleted, they are still in the device but hidden, and cannot access by general users. The space they occupy is marked “Free to use”, so , they can easily be overwritten by new data. Now, with special data recovery tools, the deleted files can be recovered before they are overwritten. To perfectly solve the Samsung Galaxy C10 data recovery, you are strongly recommended this UFUShare Fonelab for Android, which is a terrific Android data recovery for recovering deleted photos from Samsung Galaxy C10 effectively. This Android Data Recovery is useful for Android users to recover deleted Android data including call logs, contacts, messages, photos, videos, WhatsApp messages, audio files, and more from Android phones and tablets. Almost all models of Android devices are applicable to Android Data Recovery,including Samsung, Huawei, Google(Pixel, Nexus), LG, ZTE, Lenovo, Xiaomi, Motorola, HTC, Sony and so forth. Connect Samsung Galaxy C10 to Windows PC/Mac with a USB cable. 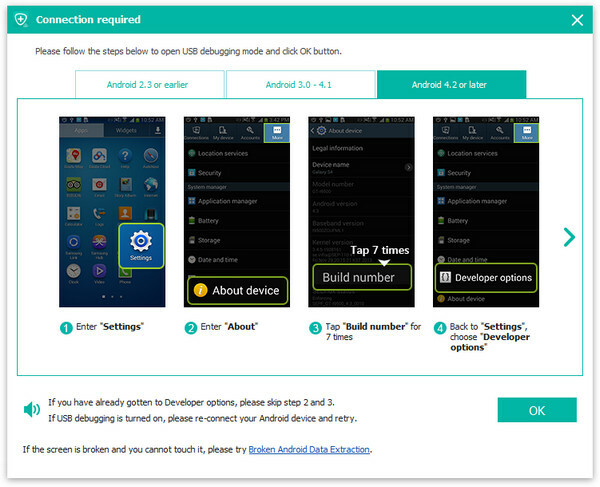 Wait seconds and this program will detect your Samsung Galaxy C10 phone automatically. If you connect your Samsung Galaxy C10 to computer but this program fails to detect it, you need to check your phone to enable USB debugging. After succeeding in connecting your Samsung Galaxy C10, choose the file type that you want to recover. 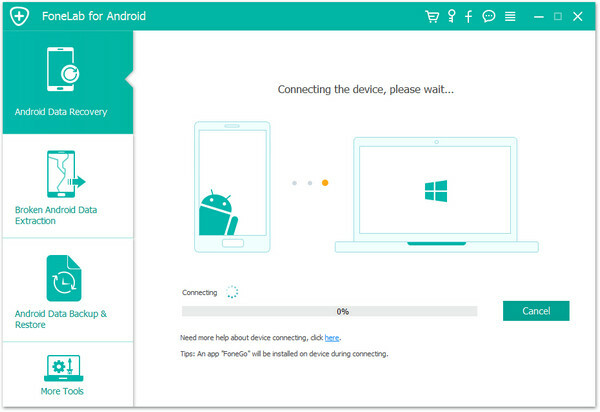 And here we want to recover photos, so tick Gallery and Picture library to scan. 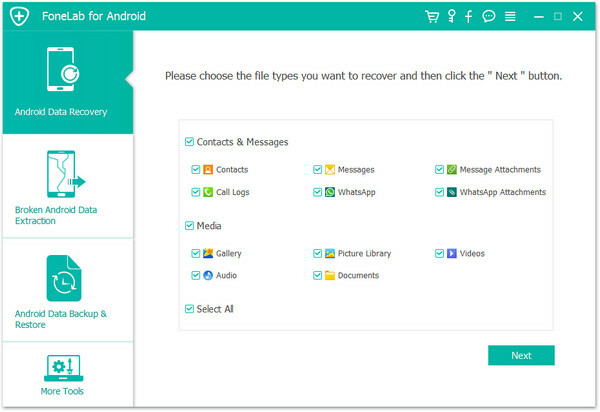 UFUShare Android Data Recovery is able to recover the deleted gallery photos, pictures from internal storage and SD card. If you need, you could choose other files types like message attachments if there are some pictures included. After scanning all the photos, click Gallery or Picture Library on the left side, you are able to view all the photos and pictures on Samsung Galaxy C10, including the deleted photos (photo name marked in red color) and existing photos (photo name marked in black color). 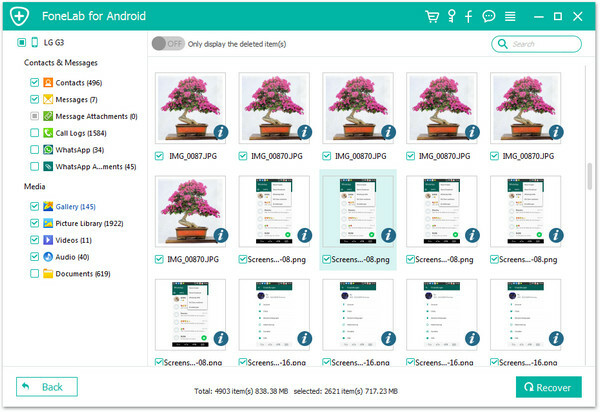 Select what deleted photos you want to recover, and click Recover button to download the recovered deleted Samsung Galaxy C10 photos to your computer. For the downloaded photos, you can keep them on your PC for backup.